AGATOS works in the village of Floresta (ME) in order to promote the landscape of Nebrodi Mountains. 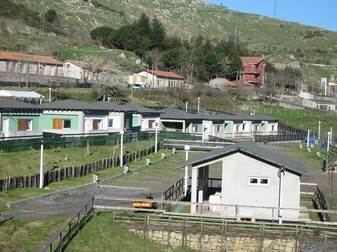 AGATOS camping is the only mountainous camping in Sicily situated on a height of 1275 m. Here you can experience a holiday in a natural atmosphere with all comforts as at your own home! The territory of Floresta lies in the heart of Parco dei Nebrodi and Parco Fluviale dell’Alcantara. Its geographical position let you spend a wonderful holiday in a natural, sports, relaxing and wine-and-food atmosphere. Camping Agatos has comfortable bungalows, camper or roulotte parkings and tent places fitted with light and electricity connection.